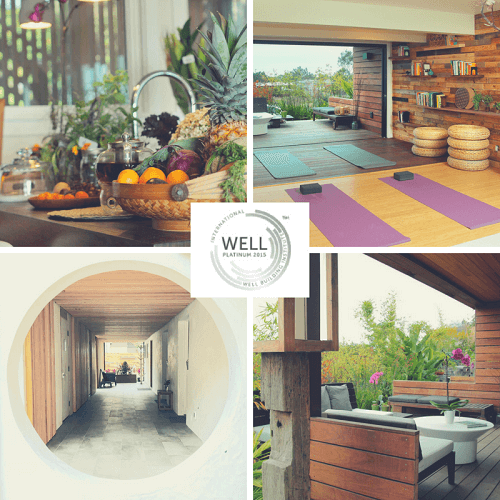 The Inn at Moonlight Beach is the worldwide hospitality pilot project for the WELL Building standard. We anticipate achieving Platinum Level Certification! This honor directly correlates with the level of care we provide our guests. Air: We feature media filters MERV 13 (or higher). These are used in the ventilation system to filter and purify the air. Each room in the building boasts this feature in order to provide fresh air and minimize the effects of air pollution. Water: Every faucet in our sinks, showers, and baths serves water that is purified through our whole-house water filtration system. It removes organic, inorganic, and agricultural contaminants, as well as public water additives including chlorine and fluoride. Guests often notice that their bath water has a very slight blue tint. This is, in fact, what pure water looks like! Nourishment: We harness the power of nourishment by eliminating unhealthy foods and promoting a higher-quality product. You'll feel this in our Healthy Start Breakfast and selection of snacks! Circadian Lighting: Our circadian lighting systems are intricately designed to promote overall alertness. These lights enhance experiences during the day and promote sleep each evening. This system harmonizes with the human body's natural instincts to create a truly unique lodging experience! Fitness: We offer fitness areas to promote active habits while on vacation. You'll love our yoga and meditation common area! Comfort: Our inn provides comfort beyond the bounds of physical parameters. Our spaces are meant to maximize productivity and minimize distractions. Mind: The Inn at Moonlight Beach nourishes the mind, too. We promote emotional and cognitive health through inspired design, holistic treatment, and innovative technology. Innovation: Innovation happens here. The Inn at Moonlight Beach is a welcoming place where clever ideas and all walks of life are celebrated. Come and see the city that luminaries such as Ravi Shankar, Paramahansa Yogananda, and Sri K. Pattabhi Jois called a second home. Surrounded by “resort destination” cities, Encinitas stands out as an authentic beach town along historic Highway 101. It's one of the true hidden gems of the San Diego area! 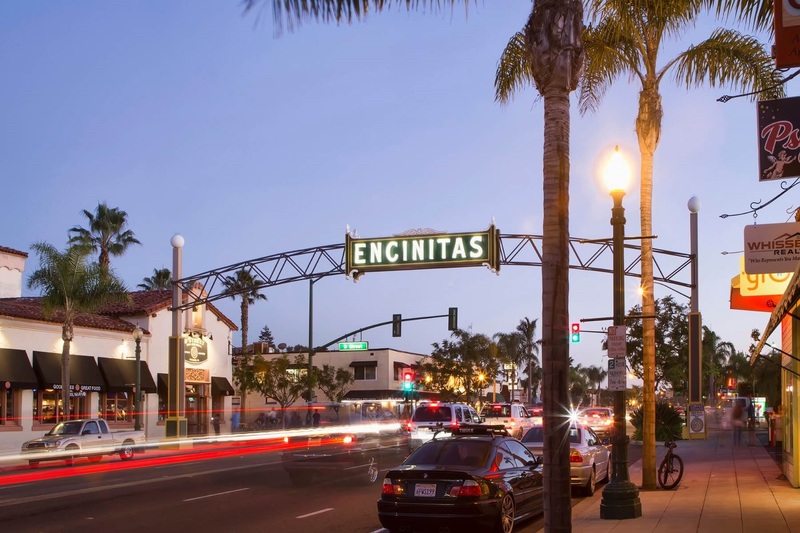 With its first-rate restaurants, historical landmarks, and legendary surf breaks, we are proud to have downtown Encinitas as our “front yard.” It's a town people can’t stay away from—once you visit, you'll see why. There's a positive, welcoming energy here that can't be put into words! National Geographic even named Encinitas as one of the Top 5 Surf Towns in the World. Exploring North Country San Diego has never been easier! Step out of your tranquil, beautiful room and you'll be just one block away from the Coaster commuter rail station. Encinitas also features popular ride-sharing options like Uber and Lyft (the perfect option for traveling to the Del Mar Horse Racing track or Greater San Diego). If you prefer to go greenhouse gas-free, everything downtown Encinitas has to offer is just an easy walk or bike ride away! 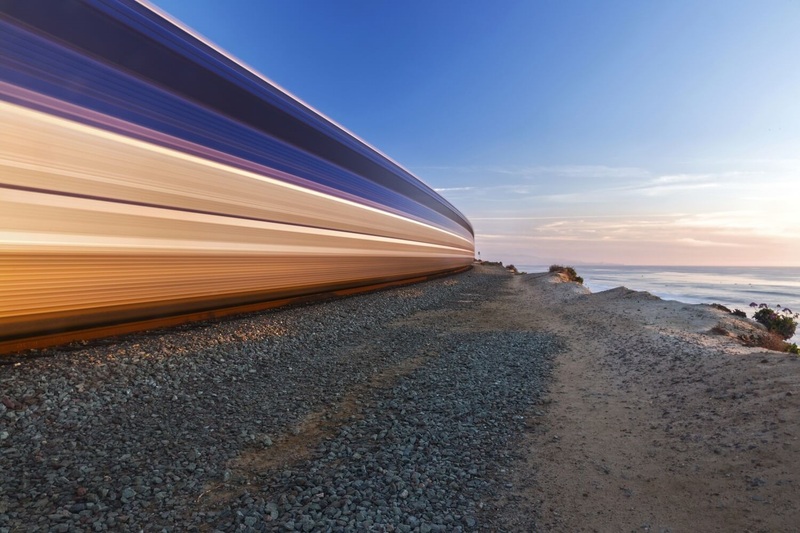 Finally, if you want to see even more of Southern California, there's an Amtrak station nearby that can get you to Los Angeles, San Juan Capistrano, and beyond.